Its aroma evokes the perfumes of a lovely summer. 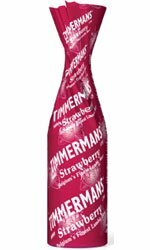 Its strawberry flavour confirms the nose’s impression without sweetened saturation. Moreover, it’s even enhanced by a real feeling of freshness, recalling those tiny green granules that are found around ripened strawberries. Its taste is consistent and spreads very quickly throughout the mouth to finish its journey on a touch that is fruitier rather than sweetened.